Normally patients arrive to the initial consultation uncertain about how they would like to change their smile and how is their face going to look at the end of the procedure. Is the phenomenon of the experience of pleasure, through the perception of balance and proportion of stimulus. It involves the cognition of a balanced form and structure that elicits attraction and appeal towards a person. So, one key to physical attraction is symmetry: humans, like other species, show a strong preference for individuals whose right and left sides are well matched. Today, symmetry has been scientifically proven to be inherently attractive to the human eye: golden ration; global beauty. In Nova Dental we perform a facial analysis: in which we check the facial midline, horizontal plane, relation of thirds, strong side vs. weak side. 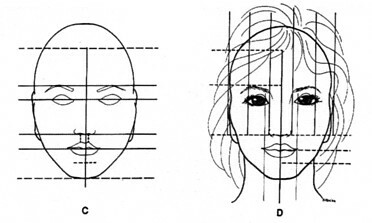 Dr. Obando and staff perform a facial analysis in each patient, so he can establish the ideal symmetry. After this we accomplish the smile design. But first, what does smile design actually mean? In the everyday language, the term ‘smile design’ is often used as the synonym of a dental treatment with esthetic purposes. 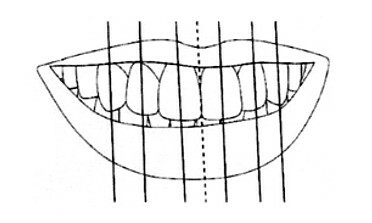 A smile design is not simply based on the esthetic sense of the dentist or the dental technician. Nowadays, the design procedure is a complex task, guided by closely interrelated facial, smile, tooth and gingival harmony aspects and rules, taking into consideration the properties specific to the patient’s age group. Functionality should never be overridden by aesthetics. Besides esthetic aspects, the functional requirements (i.e., the operating requirements of the teeth and the mandibular joint) should also be considered by the dentist to a maximal degree. Besides the principles of harmony and the ideas of the patient, the appropriate smile should be chosen with feasibility considerations taken fully into account. Dr. Obando does not ignore the opinion of the patient. In most cases, the instructions, taste and style of the patient all contribute to the creation of a truly harmonious smile. At Nova Dental Computer-assisted smile design is performed by using a custom graphic design program. At Nova Dental we can provide the patients with the opportunity to view numbers of possible dentures quite realistically represented in their own facial photos, and thus, to choose—staying within the limits of feasibility—a smile type, together with the dentist, that suits the principles of harmony and the individual preferences. Please feel free to view the photo gallery of before and after pictures. We emphasize on making a Facial Aesthetic Design and Smile Design, in order to make you feel confident on going forward with your cosmetic treatment. That is why we have complete control over the final result before any work is begun. Thanks to our protocol we are able to achieve an outcome that accurately addresses your cosmetic goals.